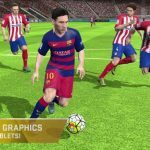 On Tuesday, EA Sports released another fantastic free title for mobile gamers, FIFA 16 Ultimate Team. If you’re an Android or iOS user, the game is now available for free in the Google Play Store and Apple App Store, and just as a reminder, it weighs in at a formidable 1.4 GB. 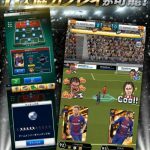 With stunning graphics and action scenes, you’ll get only the best mobile soccer gaming experience with Ultimate Team, and you’re sure to have endless hours of fun playing out the games and managing your team to the best of your capability. Such a large game also means a wealth of information to learn about it, and how you can succeed in it. But being a beginner in FIFA 16 Ultimate Team doesn’t mean you have to have a hard time learning the game and winning early on. Our FIFA 16 strategy guide should help you toward some early success. Previous FIFA titles were easy to beat – time was, you could win with a team of speedsters. But the Speed rating isn’t the only important player rating to prioritize. Everything’s important now, as you have to take all of those numbers into account. That means your defenders, who typically don’t score goals or show up on the stat sheet, will have some bearing on your success this time. A high-strength defender could do your team some good, even if his Speed rating is poor. Unfortunately, FIFA 16 isn’t perfect. 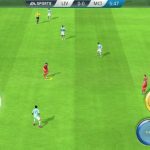 Some people have noticed that the game plays out very slowly as opposed to previous FIFA iterations for mobile. That may be a huge drawback for some players, maybe even yourself, but you can use this to your advantage. As everyone moves slower now, launch faster passes and you’ll be able to take advantage of what appears to be one of the bigger drawbacks on FIFA 16. You also want to use some sliding tackles when playing FIFA 16 Ultimate Team, as this could be a fantastic way to get possession. Previously, the game’s mechanics made it a hit-or-miss proposal to launch a sliding tackle – doing it right could win possession, doing it wrong could get you red-carded. That’s pretty much the same deal in FIFA 16 for mobile, but improved game mechanics make it less likely you’ll get a red card for dirty play when doing a sliding tackle. Do you need some more tips and tricks for FIFA 16 Ultimate Team? We advise you to take a look at our guide which explains you how to earn more coins in the game. 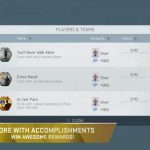 Moreover, we’ve come up with some pretty cool tricks on how to have a good ultimate team draft, as well as hints on how to complete managers tasks. Finally, if you need some useful trading tactics, check our our dedicated article on this topic.